Check in and Registration begins at Memorial Circle. Pre-Registration is $30 Regular $20 Students thru April 13th on link above. Military Discount of $5 will be given. ​Child Registration with Adult Registration is $20. Late Registration after April 13 on link above and on-site will be $50. All participants will receive race information and FREE T-SHIRT. 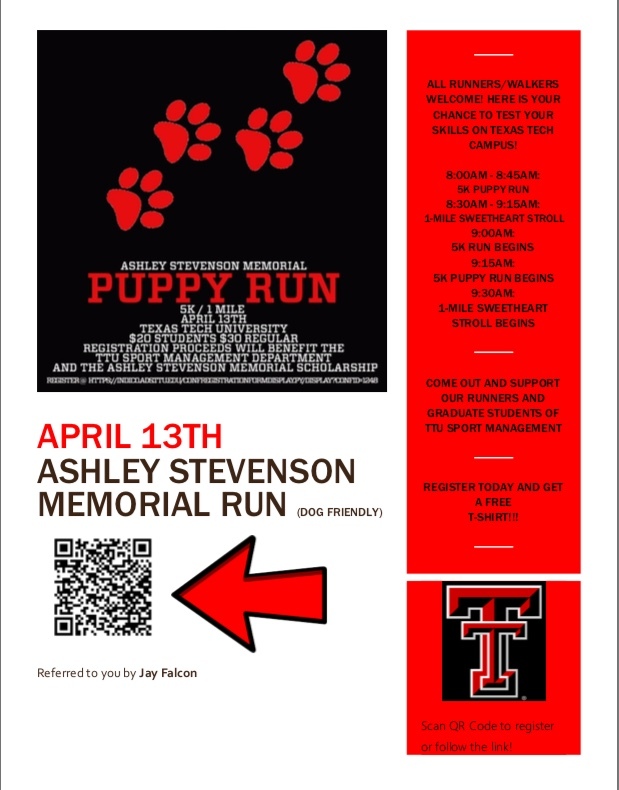 Come out and support runners and graduate students of Texas Tech University Sports Management. All proceeds directly benefit the Ashley Stevenson Memorial Scholarship Fund.